When I open my workstation, I only see the icon, and not the window, and can't get the window to appear either. Your Projetex window has opened beyond the screen. Please contact Support at https://aithelp.com/Tickets/Submit, explain the problem, give us your exact Projetex login, and we will send you a special update script that will restore your window to it proper location. 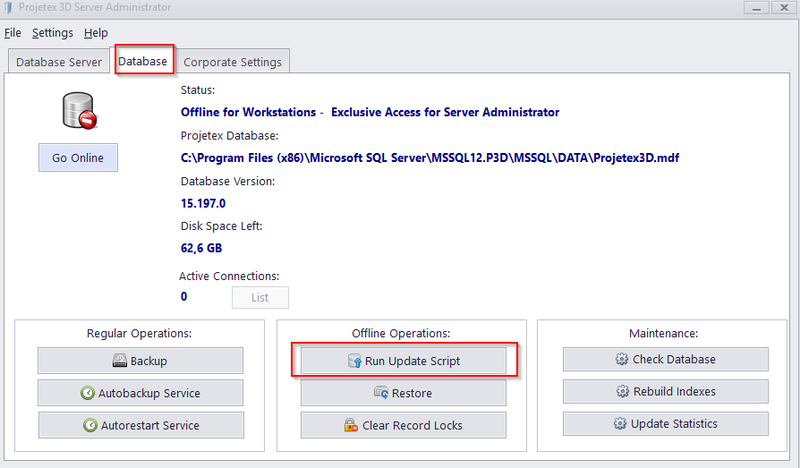 You will need to run the script in the Server Administrator utility, with the "Database >> Run update script" function.